Full Size (764 × 604) | Back to Watch this Space for New Centennial Information. 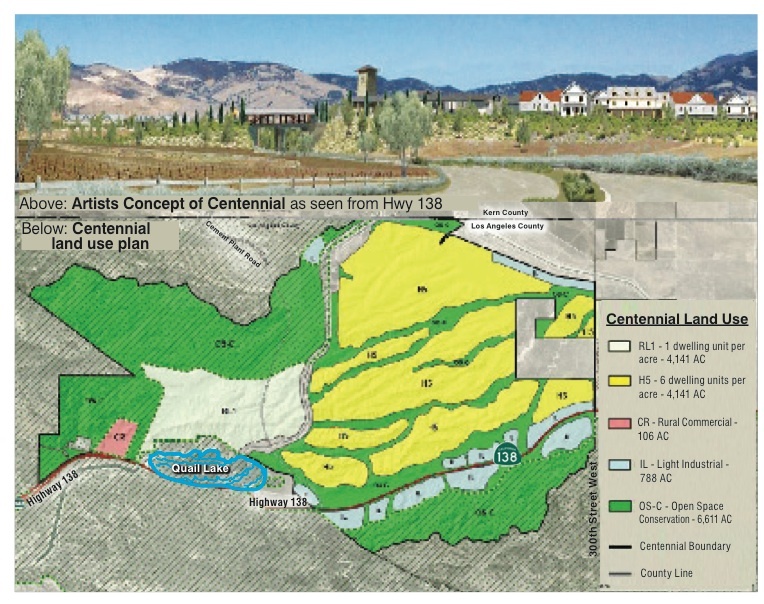 The land use plan for Tejon Ranch’s Centennial project would build 19,333 homes, 5 homes per acre (in yellow area), with a limited number northeast of Quail lake at 1 home per acre. Light industrial zoning (light blue) and commercial development would be adjacent to Highway 138 southeast of Gorman. 50-70,000 new residents could come to this area under this plan. Public comments are due by May 23, 2018. Double click on image to enlarge.